Well I’ve finally made it to Italy, but as anyone who has crossed the border from Austria would know, it doesn’t quite feel like Italy yet. Alto Adige is also known as Sudtirol or South Tyrol. This is because for centuries the whole area was part of the Austro-Hungarian Empire up until the end of WWI. After this point the Italian border was set at the Brenner Pass on the Southern side of the Alps, but the citizens remained proudly Tyrolean. Hence they continued to speak German (albeit an Austrian dialect), ate Austrian food, and made many wines from German/Austrian varieties such as pinot bianco/weissburgunder, pinot grigio/grauburgunder, gewurtztraminer and muller-thurgau. During the fascist era Mussolini attempted to make Alto Adige an Italian speaking region like the rest of the country, by introducing southerners into the area. 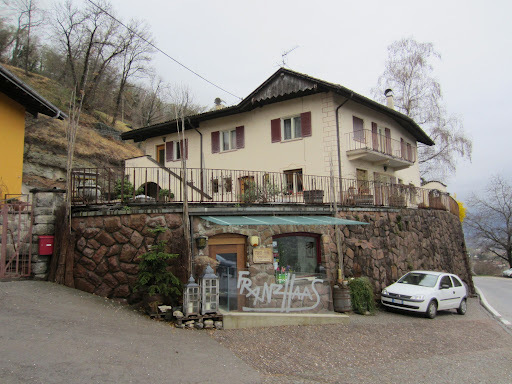 But the inhabitants are stubborn and proud, and now there is a mix of Italian and German spoken, almost on opposite sides of the narrow valley that makes its way south towards Trentino. One of the things you notice about many wineries from Alto Adige is that they have German names, such as my first appointment at Tiefenbrunner. I was hosted by Christof Tiefenbrunner, who has a German accent with a slight Italian inflection. 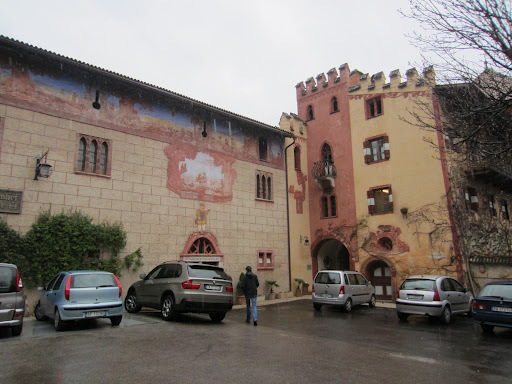 His family has been making wine in the Castell Turmhof for over 100 years, after his great-grandfather acquired the land in 1903. Christof took over the running of the business back in 1993 from his father who had been at the helm for almost 60 years. He saw an opportunity to get ahead of the game in terms of quality, and thus introduced several new initiatives. The first was to appoint a young cellarmaster to run the operations of the winery, when in the past it was done by Christof’s father. The second was to reduce the amount of intervention in the winery, such as unnecessary rackings, filtrations and finings. The third was to have a much better understanding of each of the sites they grown on and source from, greatly limit the amount of chemicals used, and replant varieties in the best sites. Thus he can now make wines of different qualities that achieve the right amount of maturity on the vines, and allow the unique terroir to be expressed in the wine without too much oak or by stripping away the character of the wine. Click here to read my notes from the tasting. 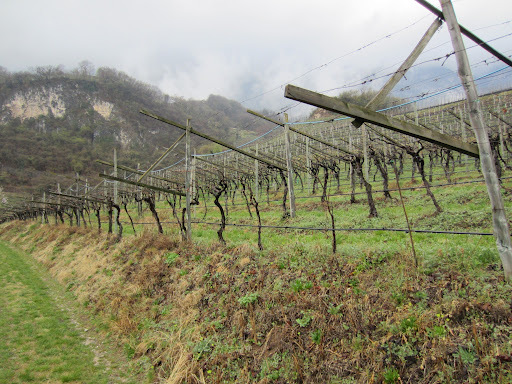 Franz Haas is the seventh generation of a family that has produced estate wines since 1880 in Alto Adige, making it one of the oldest family owned wine estates in the region. The focus has always been on producing quality wines from the now 28 hectares of estate vineyards. Today the winery produces a range of wines from an additional 22 hectares, including the amazing Kris Pinot Grigio which was the best-selling Italian white in the store I worked for in Melbourne. It is also world-renowned for its innovation and attention to detail, such as replanting vineyards into higher densities, reducing yields, and introducing non-traditional varieties (very un-European). One of the other innovations was to convert most of the wines to screw-cap seal, to retain the freshness of the white wines in particular. This is very important for the wines as many of them are sold in Export markets, and Franz would rather have the wines expressing as they should be without bottle variation. Like many in the region he understands the importance of selecting the right variety for the right sight. He plants up to 27 different varieties depending on the great diversity of elevations, soil types, expositions and micro climates. For example he is planting a new vineyard at an altitude of about 1200 m above sea level to compensate for the recent effects of climate change providing warmer vintages. He is making a serious investment, as he will be planting a range of varieties to determine which ones perform better, and then focusing on these ones. 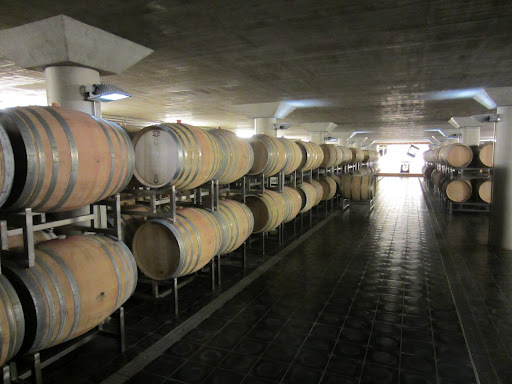 The winery uses a range of techniques to vinify the wines, but the intent is to limit the influence to allow the variety and region to be expressed in the wine. I had a tour through the winery where I had the opportunity to taste some 2011 vintage wines from barrel, including a pinot bianco, two chardonnays, a tannat and a passito made from moscato giallo. Unfortunately I didn’t have the opportunity to taste any wines from bottle, but I’ll have the chance at Vinitaly next week. Click here to see more photos from Day One in Alto Adige, Italy.